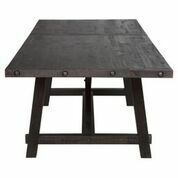 Rough-hewn planks crafted from solid pine bear characteristic saw marks, knots and blemishes in the Sheridan Dining Table. 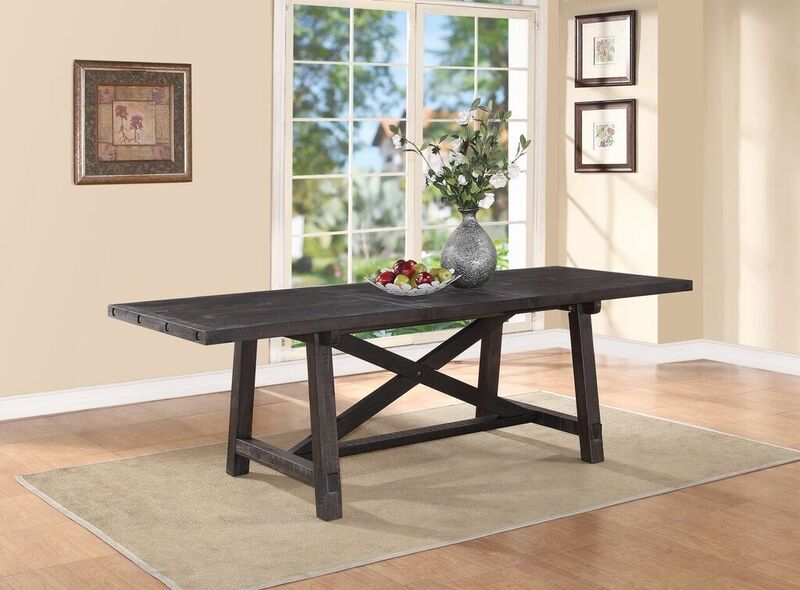 A Black Pine Finish adds a modern element, with exposed bolts, hammered metal pulls and cross braces that complete a utilitarian touch. 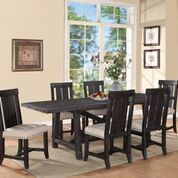 Add the available matching chairs, settee, and sideboard for a completely finished and gorgeous dining room. 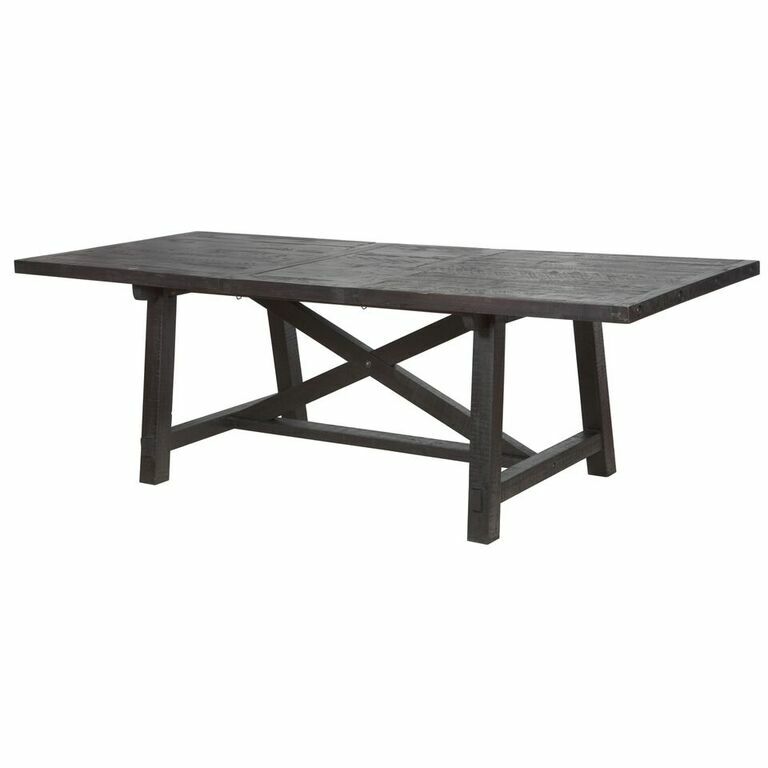 859 points will be rewarded to you when you buy this item.